At Brixton Library each month a group of black gay men gather to attend ‘Black Gay Ink’; a writers’ workshop. Since starting in February, they’ve created a safe space where they can discuss, debate and express their issues, challenges, joys, and triumphs unapologetically through writing. Now they’re ready to share, to come out of the quiet. On Wednesday 18th October 7-9pm at Brixton Library, Black Gay Ink present readings of original work, tales from the Rukus archives, entertainment, and debate led by BlackOutUK. 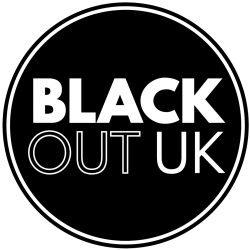 Black Gay Ink works as a vehicle to support writers who may go on to write for the BlackoutUK website – a website for us and by us, or to publish their work more broadly. It was set up to contribute to the creation of platforms and spaces for black gay men to record and document their stories, their issues, and their interests. “We are living at a time of tremendous societal change for the LGBTQ communities,” Troy notes. “Although, for me, society doesn’t recognise or value black gay men. There are still too few UK role models, and too few art works or writings from a black gay perspective. Join the writers of Black Gay Ink 7- 9 pm on Wed 18 Oct, Brixton Library.